Designed for competition at every level, the Women’s Hurricane Wetsuit Cat 3 utilizes some of the best features from our Cat 5 Hurricane to optimize speed and help you outperform the pack on race day. 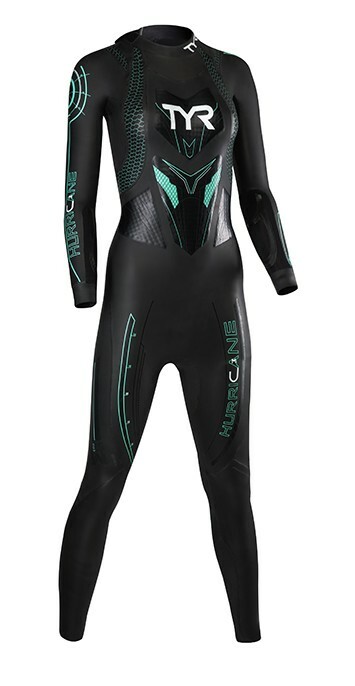 Each and every HCCTF6A wetsuit also includes quick release ankle cuffs, an innovative antimicrobial lining and state-of-the-art range of motion zones. It is a really snug fit but without shoulder restrictions. I also do not get the neck rub on this suit. I love this wetsuit!!! Q: If I am borderline between 2 sizes (ML and L), do you suggest going to the smaller or larger? I am buying this to replace my Xterra Vector Pro wetsuit. With that one I went bigger when I was borderline between a ML and L and got the L and it was too big by the time I was in peak race shape. Westsuits (by design) will provide a highly compressive fit. If you prefer less compression (similar to a surf style), you certainly can size up. Built for all levels of competition, The redesigned Women's Hurricane Cat 3 Wetsuit showcases a 100% Yamamoto 38 Cell Nano SCS Coated Neoprene exterior to provide sleek and flexible performance in the water. WTC (Ironman) / USAT legal.